Today I have a review for Zenith, a YA Sci-Fi featuring an all-girl spaceship crew taking control and showing the boy’s how it’s done, with romance, tragedy and ray-guns. Blurb: Most know Androma Racella as the Bloody Baroness, a powerful mercenary whose reign of terror stretches across the Mirabel Galaxy. To those aboard her glass starship, Marauder, however, she's just Andi, their friend and fearless leader. 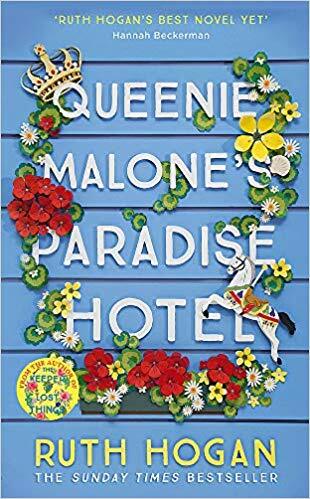 Review: there has been a lot of hype surrounding this book, especially as one of the authors (Sasha Alsberg) is a popular youtuber. But to tell you the truth I just picked this book because I really liked the sound of it. 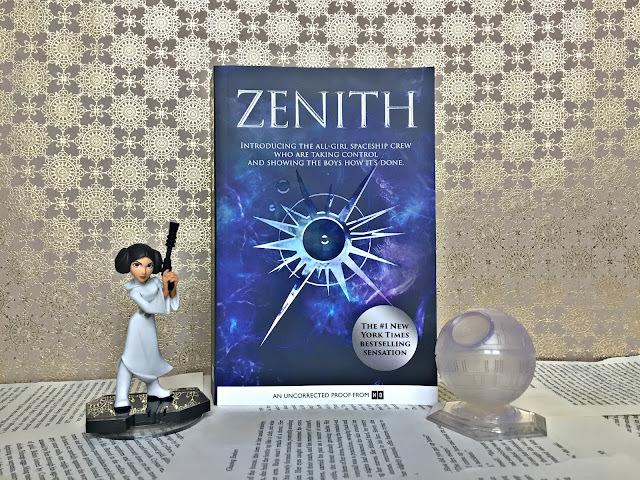 I haven't read many Sci-fy stories in the last few years, and this is something I wanted to change this year so I thought Zenith would be perfect for the challenge. I really enjoyed the world created in this story, with its several planets, all united after a devastating war. And I was really curious to find out more about each place and its inhabitants. 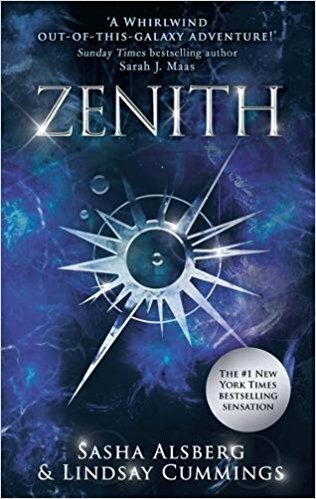 I also found the main plot quite interesting: Adroma, Andi for her friends, is a space pirate and with her fearless crew she takes up the most dangerous missions. Also known as the Bloody Baroness, she is a bloodthirsty killer. She's been escaping from her past but she now finally has a chance to redeem herself and get a clear slate, if she rescues the son of the ruler of her old planet. Slight catch? Her ex-boyfriend, who betrayed her, needs to accompany her. As the story unfolds, we get to know the main characters and their pasts a lot. Adroma was a difficult character to like, at least for me. Her chapters dragged a bit too much and her troubled thoughts sounded a bit repetitive. Her ex-boyfriend, Dex, in the other hand, was quite fun to read. The story though had a lot more POVs than these two, which was a bit confusing at the beginning, but it all made sense after a few chapters. I also felt like we didn't get to know some of the secondary characters enough, like Andi's gunners. I do hope we get their full stories in the next installment. As I said, I enjoyed this new universe we discovered and the story is fun and entertaining, but I think that it was a bit too slow in general, especially in the beginning. Luckily, the last part picked up the pace and brought quite a lot of surprises. I'm now definitely curious to find out what happens next!